Even if I learned more than two years ago about the theory on passive housing for my Master’s Thesis at the Audencia Nantes Management School, the reality is little known to me. Even if I knew such houses don’t need any heater it seemed too vague a notion. But an interesting article from the New York Times brought me a most interesting insight of such constructions. The result is staggering and a lot of energy could be saved if such houses were to become widespread as they use 20 less energy than traditional ones. (…) His new home uses about one-twentieth the heating energy of his parents’ home of roughly the same size, he said. (…) The industry is thriving in Germany, however — for example, schools in Frankfurt are built with the technique. (…) Inside, a passive home does have a slightly different gestalt from conventional houses, just as an electric car drives differently from its gas-using cousin. There is a kind of spaceship-like uniformity of air and temperature. The air from outside all goes through HEPA filters before entering the rooms. The cement floor of the basement isn’t cold. The walls and the air are basically the same temperature. (…) In Germany the added construction costs of passive houses are modest and, because of their growing popularity and an ever larger array of attractive off-the-shelf components, are shrinking. (…) Dr. Feist’s original passive house — a boxy white building with four apartments — looks like the science project that it was intended to be. But new passive houses come in many shapes and styles. The Passivhaus Institut, which he founded a decade ago, continues to conduct research, teaches architects, and tests homes to make sure they meet standards. It now has affiliates in Britain and the United States. 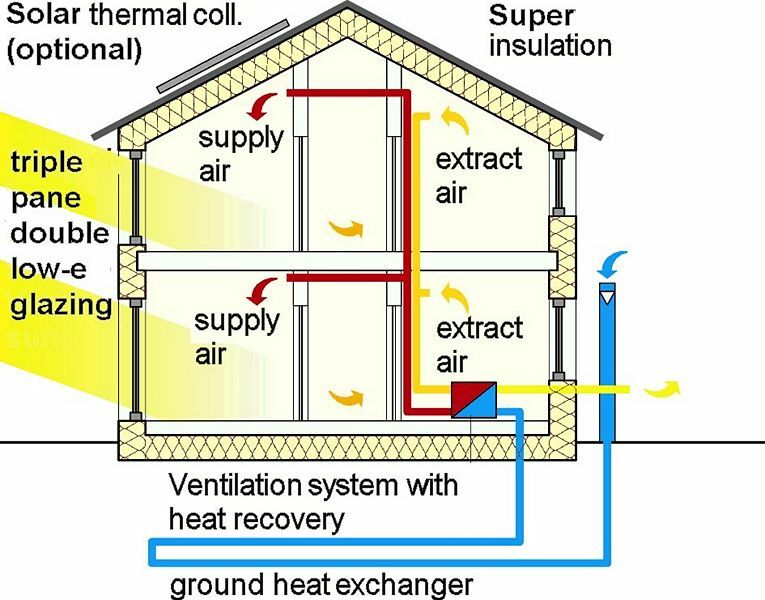 For more on this topic, please check the Wikipedia page on passive housing. There are many useful ideas like this. Unfortunately, many of them are what’s often called “designer green”, in contrast to “frugal green”. That is, they cost a lot of money. The money cost is a big obstacle. In Australia for example, we face a drought across much of the country, but a water tank is typically about $2,000 for 2,000 litres capacity. Since water costs about $2 per 1,000 litres from the mains supply, the payback period is three years – assuming the rainfall comes exactly when you need it, etc. When we get solar panels which even with an $8,000 government rebate still cost $4,000 and electricity from mains supply only $0.155/kWh, the payback period is still about 12 years. If you then talk about $2,000 for double-glazed windows and $4,000 for insulation and so on, it quickly becomes quite significant money. People just won’t put that much cash into things today even though it’ll help them tomorrow. This is why I am really satisfied by the French governmental standards which gets tighter and tighter for energy consumption of housing.